I know some may think we were crazy for taking our 9 month old to Disneyland, however being a Disney fan myself, the trip was just as enjoyable as any other. For the past handful of years, we had been planning on visiting Disneyland during the Christmas season, but for whatever reason, something continuously managed to come up and cancel / supersede our Disney plans. Just over a week ago, we took the little guy on his first Disneyland adventure and although he is only 9 months old, he appeared to have enjoyed it. 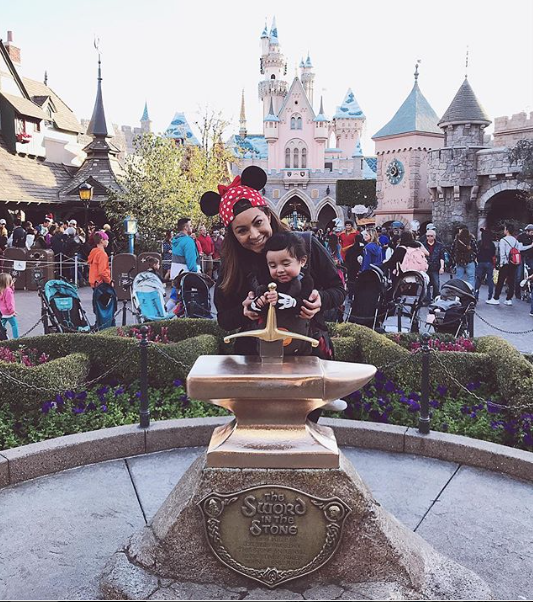 So you may be thinking, what is there to do at Disneyland with a baby/ toddler? Here is a list of baby/ toddler friendly rides listed by location. (Most of Fantasyland is baby friendly). Roger Rabbit’s Car’s: Fits about 2-3 riders per car. They do require that the baby / toddler is awake. Our son fell asleep as we waited in line and they required we wake him in order to ride. (Located in Toon Town). Share with me your thoughts or any other Disneyland tips you may have. I would love to hear them.